Enjoy the top 87 famous quotes, sayings and quotations by Jason Alexander. Usually, characters that are doing something nefarious have some extra layers to them. The general rule is bad people don't necessarily think they are bad. I can get motivated seeing a kid at my son's school overcome a learning disability. There is no community service in 'Seinfeld.' But rather than lauding that, I think it shows the insane banality of it. Where are reliable journalism and reliable investigative voices going to come from? I love the days of old - the Walter Cronkites, the Dan Rathers. What is it about Iowa? I'm the shortest guy in the state. 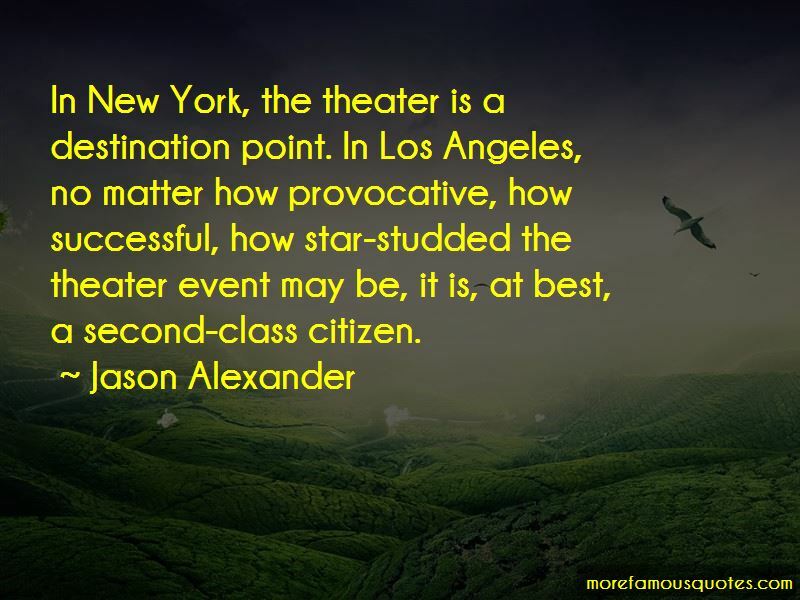 In New York, the theater is a destination point. In Los Angeles, no matter how provocative, how successful, how star-studded the theater event may be, it is, at best, a second-class citizen. Want to see more pictures of Jason Alexander quotes? 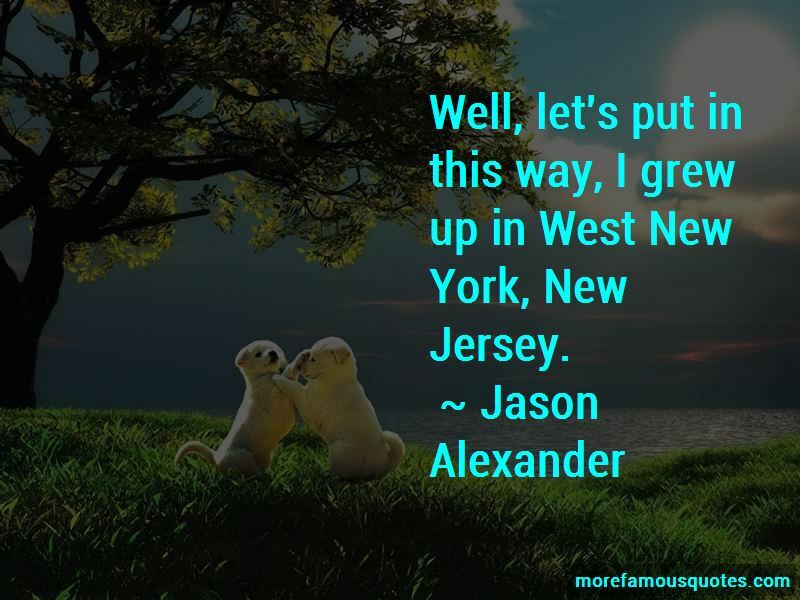 Click on image of Jason Alexander quotes to view full size.